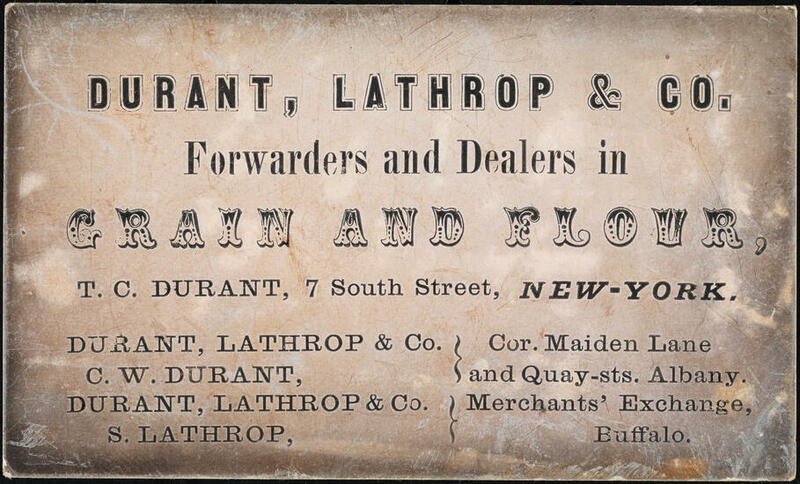 Museum of the City of New York - Durant, Lathrop & Co. Forwarders and dealers in grain and flour. T. C. Durant, 7 South Street, New York.